From time to time I’ve been known to enjoy a pancake or two. One moment that stands out in my mind was around age 11 or 12. We were camping in New York’s Catskill Mountains for our family’s annual week-long summer vacation. 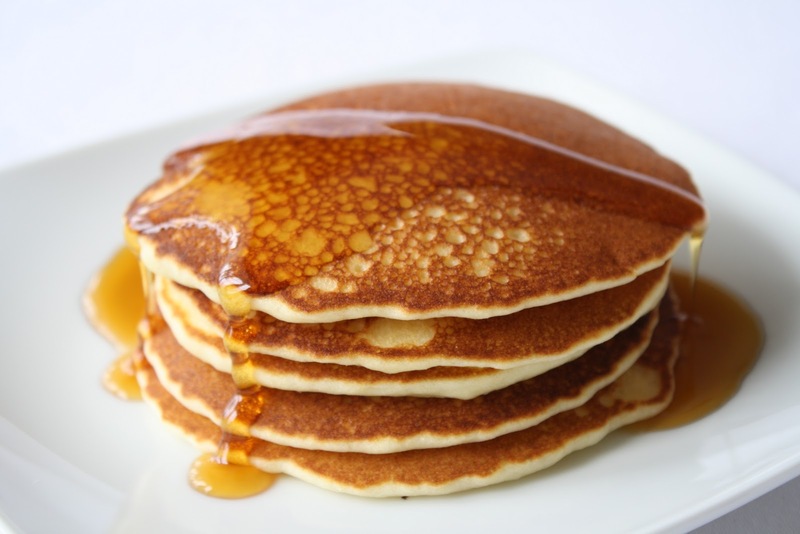 One morning, my grandmother whipped up a batch of Bisquick pancakes on a griddle over a two-burner green Coleman propane camp stove that seems to be standard issue for pretty much every car-camping family in America. The scene stands out in my mind, not only for the warm fuzzy feelings I get thinking about it, but also because I ate 22 pancakes. Granted, they were silver dollar pancakes. But still. It felt like an achievement. 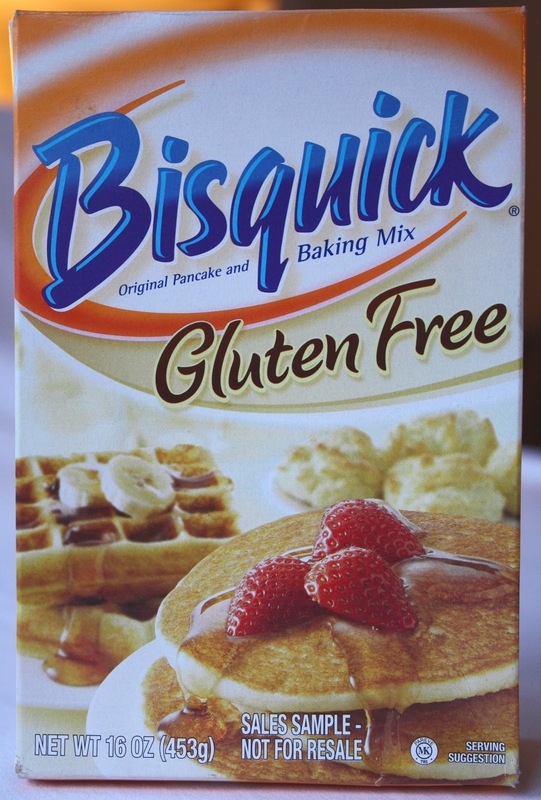 Fast forward a full 20 years, and here I am, doing a review of Bisquick’s new Gluten-Free Original Pancake and Baking Mix (which the company graciously sent gratis). Bisquick is part of Betty Crocker, which is part of General Mills, a company that’s been increasingly expanding its gluten-free offerings across its core brands, including the Chex line of cereals. They’re a supporter of the Celiac Disease Foundation, and the baking mix is made in a dedicated gluten-free facility, two things to love right off the bat. We of course used the baking mix to make oodles of pancakes. The box, however, also includes recipes for waffles, biscuits, strawberry shortcake, pizza crust, chicken fingers, and oven-baked chicken. Making the pancakes was straightforward, requiring nothing but the baking mix, milk, vegetable oil, and egg. Overall, we were impressed with the pancakes we made with the baking mix. Taste and texture were both great, and in the context of pancakes, our nutritional criticism is a relatively minor quibble. And while Kelli and I disagreed as to how closely the gluten-free version resembles the original Bisquick mix (it’s been many, many years since she or I have tasted it…), one thing was certain – in some small way, it did take me back to that breakfast in the Catskill Mountains 20 years ago. And finally, a giveaway! When Bisquick sent us a box of baking mix to review, they also included a Tovolo pancake pen, which we’re passing along to you – our No Gluten, No Problem readers. It’s like a large water bottle for pancake batter, with a spout on top that you can use to “draw” pancakes of different shapes onto your griddle. It’d be great if you have kids. To enter the giveaway, email me with “Bisquick Giveaway” in the subject line. Entries close Sunday, January 23 at midnight, and we’ll announce the winner early next week! Good luck! I too had a camping/grandmother/pancake experience as a child and to this day I cannot eat another pancake. My daughter made pancakes using this mix over the holidays and she and my husband (who does not normally eat gluten free) enjoyed them. Hi Karen… I wonder how many Americans have had Bisquick pancakes while camping? =) I’d bet more than a few… Thanks for sharing! I am a big fan of the gluten-free Bisquick. I have used it to make pancakes, chicken pot pie, and a spinach pie. All of the dishes were a big hit. Hey Pete–I love the camping and silver dollar pancake achievement scenario! 🙂 I was one of 10 gluten-free bloggers who traveled to General Mills last November to give them input on their gluten-free products. I wrote a post about my experience. 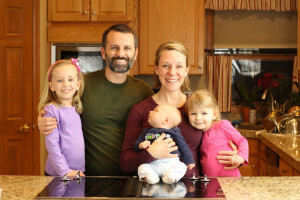 As I learned then, their gluten-free baking products are not made in a dedicated facility, but in a “dedicated environment”–a separate part of their production facility. And, other products that are labeled gluten free are processed in a defined order of production with gf ones first and lines cleaned, etc. I still react to General Mills gluten-free baked goods and would love to see them become GFCO to less than 10 ppm. Anyway, just sharing what I know. Hi Erin… Good to hear! Hi Shirley… Thanks for sharing that info! The packaging specifically states “made in a gluten free processing facility.” That sounds an awful lot like a dedicated GF facility to me, and if General Mills is doing otherwise, such language on their GF products is misleading at best. I’m not necessarily opposed to a company making a GF product in a non-dedicated facility, but they need to be transparent about it. Thanks for the great review. Since I generally make pancakes in a 6 c flour blend batch, I don’t, however think I’ll be buying any. (If you could ever put a bug in the ear of anyone who markets GF foods, that sometimes entire families eat GF, and bigger sizzed things wouled be oh-so-handy, I’d love it, but that’s another subject…) But I will tell my MIL, since she does buy pre-packaged stuff for the two of them. If you’re interested you might try Sue Gregg’s blender batter pancakes. I’ve made them with whole grain sorghum and brown rice (which BTW, looks nothing like the brown rice one can get in the store and which I previously thought was whole grain). The batter is mixed up in the blender and then soaked over night so that the grains begin to ferment with the help of the pro-biotics in the yogurt or buttermilk. I add a bit of xanthan gum to hold them together. They are definitely not a bisquick type pancake; but we like them sometimes for something heartier. 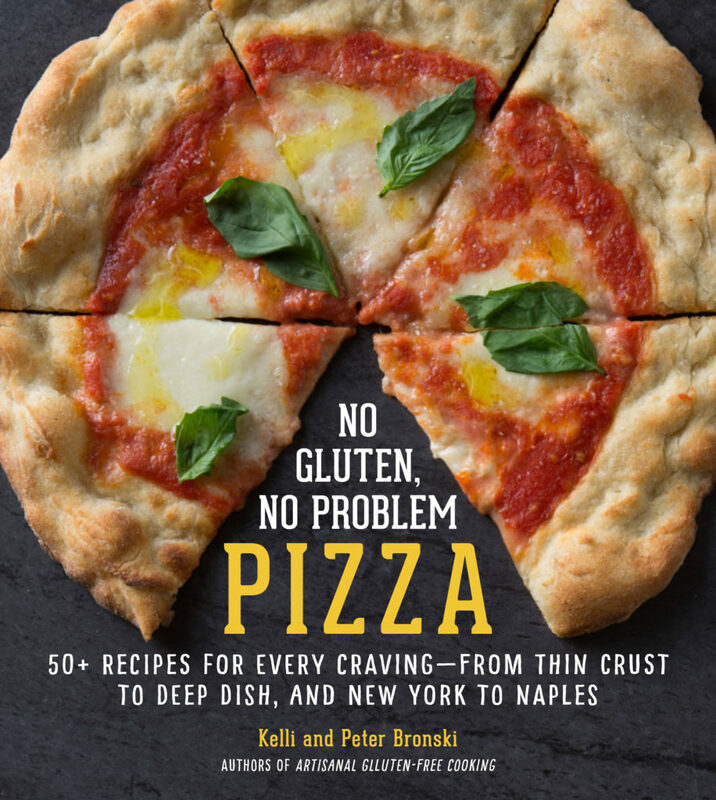 I’ve tried the GF Bisquick recipe for pizza crust…. it was the worst pizza crust i’ve ever had in my life! Hi Mary… Interesting. Thanks for sharing! I’ll have to try that! Hi HeatherAnn… Thanks for sharing your experience using the GF Bisquick mix to make pizza crust. Out of curiosity, what didn’t you like about it? Taste? Texture? Both? I made the biscuits, and they were disgusting. I swear I could hear them foaming when I took them out of the oven. I can’t even remember what they tasted like, but my 11 year old took one bite and stormed off asking why we couldn’t make normal food. I thought they smelled odd, too. Of what, I don’t know. Maybe it was the potato starch. I was only diagnosed recently and I haven’t acclimated to all these flours. And anything with rice flour seems unpleasantly gritty to me. My family seemed to like the pancakes, though. After the biscuit fiasco, I couldn’t bring myself to taste them. One thing I’m sure of – they taste absolutely nothing like original Bisquick. For those of you who found the biscuits gritty, try letting the batter sit for 30 minutes before shping and baking. it allows the flours to soak up more of the moisture. Now, if any of you have any ideas for keeping GF breads etc from drying out so quickly I’d love to know what it is that you do.